Gladys Magazine is celebrating their 10th year anniversary by naming the top 100 most inspiring people that they've featured during the past decade. Congratulations to our winemaker, Marisa Sergi, for being named with this honor! Drinking RedHead feels like you’re joining Sergi’s come-up. That grassroots vibe has helped place her brand in thousands of social media feeds and more than 400 stores throughout Ohio, West Virginia and Pennsylvania, including Walmart and Buehler’s Fresh Foods. Catch winemaker, Marisa, on Live on Lakeside. 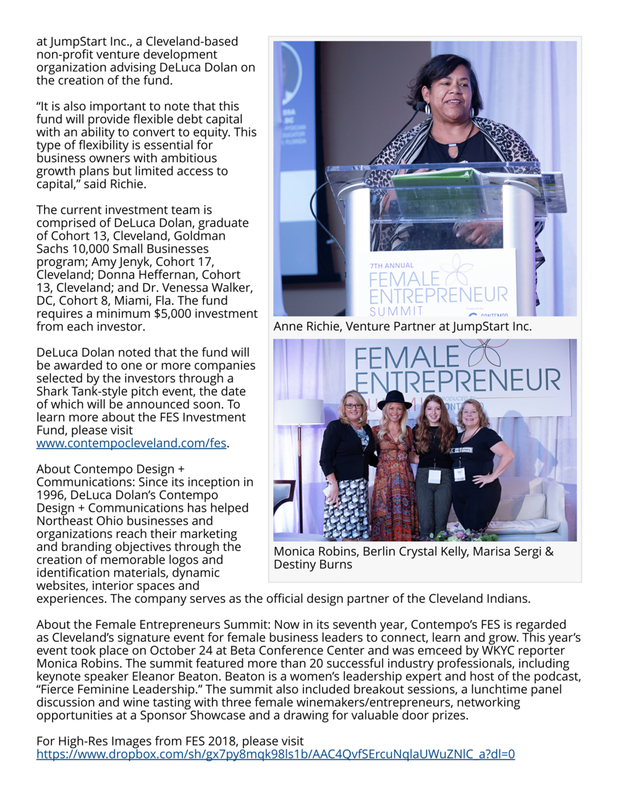 She will be speaking at FES - Female Entrepreneur Summit in Cleveland October 24, 2018. Earlier this year, RedHead Brands signed a distribution contract with Wine and Beverage Merchants, a Weirton, W. Va., distributor. Wine and Beverage Merchants has distributed RedHead for about six months, Nick Latousakis, president, reported. Today we gathered for the 5th Annual Meritage of Miracles at Stambaugh Auditorium downtown Youngstown, Ohio. Founder, Michelle Sergi, a third year medical student and seven year volunteer at Akron children's palliative care kicked off the event with a VIP hour of wine and food with RedHead winemaker, Marisa. Throughout the evening there was live entertainment, food, drinks and, of course, wine! About our event: Akron Children’s Haslinger Family Pediatric Palliative Care Center is one of the largest pediatric palliative care programs in the U.S. and serves as a local, national and international model for the provision of high-quality care across the continuum. Our mission is to bring legendary pediatric palliative care to any patient in the prenatal period, infancy, childhood, adolescence, or young adulthood facing a chronic, complex, and/or life-threatening condition. Since 2002, we have served over 2,100 families in 47 of Ohio’s 88 counties, as well as families from 8 other states. The Pediatric Palliative Care Division has played an integral part in raising the profile of Akron Children’s Hospital, both at home and outside of our geographic borders. My grandparents had many parties and my grandpa made enough wine for them all. As a three-year-old, I escaped from my grandma’s watchful eye into the wine cellar where she found me trying to get wine out of their barrels with my sippy cup! Winemaker, Marisa, comes from a family of winemakers at L'uva Bella Winery. Her role as a third generation winemaker and innovator in the industry has landed her the honor in the NextGens to Watch section of Family Business Magazine. Cheers!